To my utter delight, Mr. Cliff Scherb met with me! For about two and a half hours he talked with me and generously shared his experiences and perspectives on being a triathlete and living with diabetes. I’ve been struggling to write this post because I’m afraid I won’t be able to properly repay his generosity. I don’t think I have the words or skill to do Cliff justice. Everyone I spoke to before I met him said he was a great guy – a genuinely nice, humble, super fast, superhuman guy. He completely lived up to all those accolades and here I am, little ol’ me, trying to relay his greatness to you. 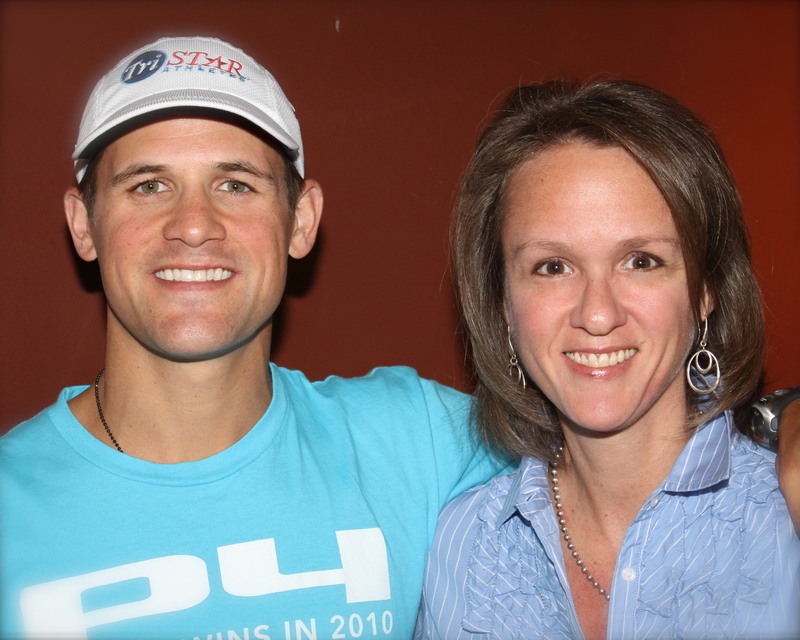 I went into this meeting thinking I would do an interview on his recent achievement at the Ironman World Championship. But seriously, who was I kidding? I know virtually nothing about racing in any capacity. I did my best to prepare appropriate questions and we did indeed talk about it, but I will leave Cliff to tell you the details about that event. Cliff describes the race step by step, breaking down each transition including descriptions of the weather, what his bg was and his thoughts throughout the race. 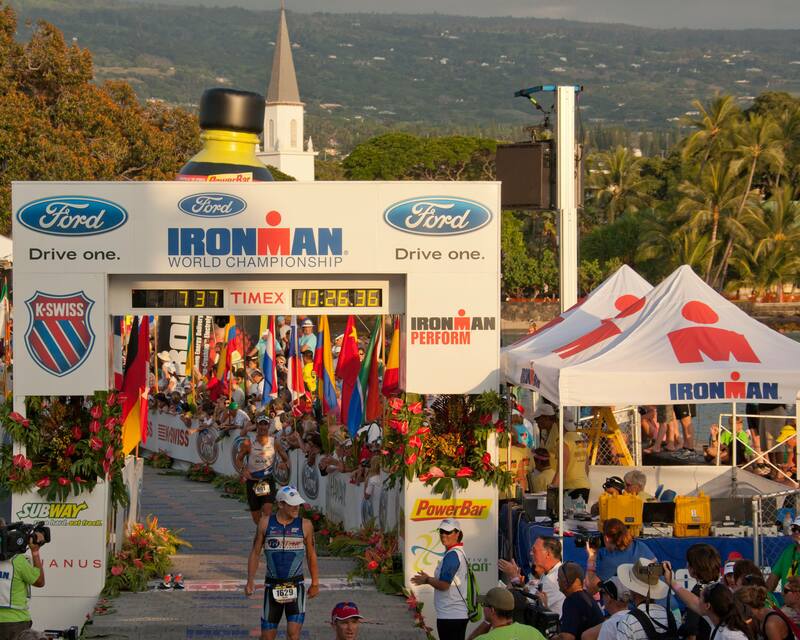 Whether you are an Ironman enthusiast or not, I invite you to read it. His positive attitude leaps out at you and, well, he had a phenomenal and inspiring performance. Cliff was diagnosed with type one diabetes at the age of nine. He talks of his childhood with diabetes as just another thing to manage along with brushing his teeth and other daily chores. We’ve heard this before, right? Well when Cliff says it, I actually really believe him. Not that I don’t believe other people when they say it, but with diabetes there are dichotomies. Yes it can be simple – just check your sugar and push a few buttons or the like and you’re good to go. But it’s also a matter of making yourself bleed throughout the day, stopping to tally up your carbs, hoping that you estimated that 1/2 cup correctly and oh yeah – let me stick another needle in me so I can finally eat. I don’t think Cliff thinks much about that second part at all. He takes care of himself and does all those things, but he doesn’t overthink them. He attributes this to the way he was raised, his inherent personality, his competitive nature, his desire for continued self-improvement, and to incorporating three elements into his care routine: food, family and exercise. I’m used to the reference of balancing food, insulin and exercise. To hear “family” as an official part of managing diabetes made me think. Of course I agree that the support of family is imperative, but it’s always been more of an assumed, in the background kind of thing to me. When it comes to a care “plan”, I think of carbs, bolus’ and activity. I like this mindset of including family, of including emotion, more directly. I believe that the support system that made him the person he was when he was diagnosed gave him this balanced perspective from the very beginning. He is confident, without the slightest trace of arrogance, with who he is. Taking care of his diabetes is just something else he has to do. He accepted it and incorporated it into his life. Period. Here’s another thing he said that struck me – he never worries about diabetes on race days. I repeated that back to him to make sure I heard it right. 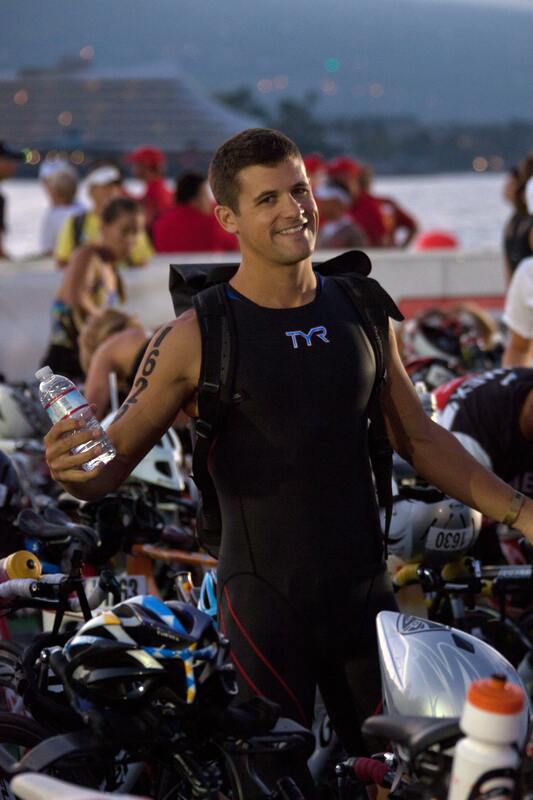 The thought of Caleb heading out to a baseball game or stepping into the pool still makes me tense up a bit, so how could diabetes not be in the forefront of his mind when it comes to intense races, particularly triathlons, particularly the Ironman World Championship? He explained and I came to understand. Cliff has spent a tremendous amount of time and effort refining his approach. He’s a self described type A personality. He’s raced many races unsuccessfully and has learned from those experiences. He’s charted his insulin needs to the nth degree and has developed a literal database of information that drives his dosing plans. He has basal programs for various training, race and rest days. 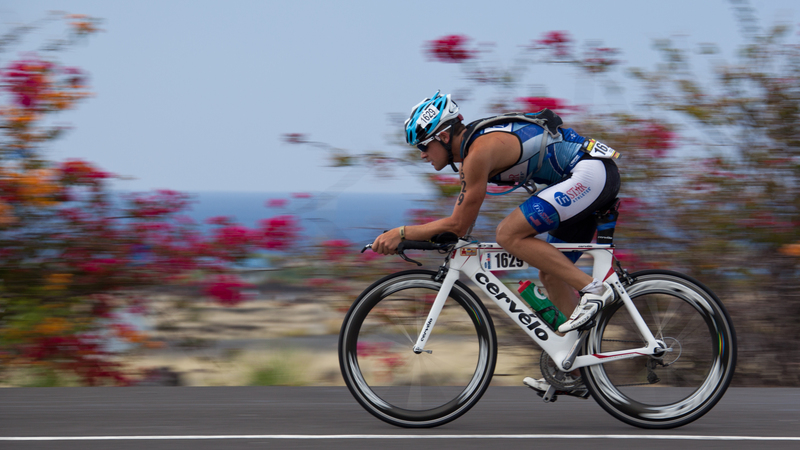 He knows how his body – how athletes’ bodies – respond to the different disciplines of swimming, biking and running and defines a precise plan for each. He knows exactly how many calories/carbs he needs to take in each hour of each activiy. He’s done his homework and done it well. So, no – he doesn’t worry about diabetes on race days because he’s working with a proven plan – a plan proven by the many races he has raced successfully. He credits OmniPod a great deal with his ability to develop this tailored approach. “It’s all about the basal”, he says. When he was on injection therapy, he had less control over the long lasting insulin in his body, and he wouldn’t consider a tubed pump with his level of training and competition. I love the way he talks about insulin therapies in this video – comparing injections to a chainsaw and pump therapy to a laser. He’s using that laser to its fullest potential to develop the greatest level of precision he can. Cliff is the founder of TriStar Athletes Coaching and has a great deal to offer other athletes and in particular athletes living with diabetes (check out his page dedicated to Diabetes Coaching). He is building a facility adjacent to his home in Connecticut (including a small indoor pool) that he plans to use for training and coaching, but also wants to develop a retreat program like diabetes camp for grownups. Cliff provides consulting services in person and via phone or skype – more details on his coaching page. You can find Cliff on Twitter and Facebook too. Understand the food you eat and how it affects your blood sugar, like the difference between a complex and a simple carbohydrate. Don’t get down on yourself about any particular day. Each day is a fresh start. Be active – it helps with managing insulin. Be a sponge – constantly educate yourself, learn and be open to new things, particularly technology, that have the potential to improve your life. 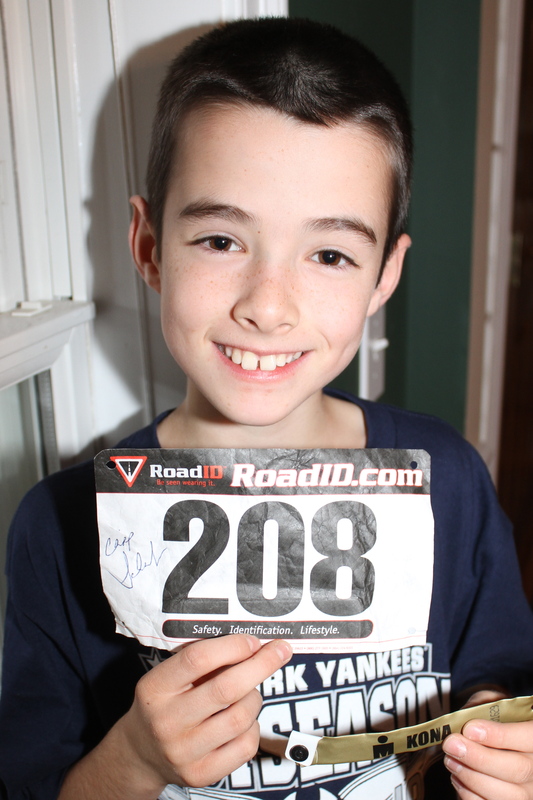 Colin with his autographed race bib - "To Colin, Run fast and strong - Cliff"
My older son, Colin, currently has aspirations of becoming a triathlete. He wrote Cliff a note expressing his admiration of him. To compound Cliff’s greatness, after asking him to sign Colin’s first 5K race bib, he pulled off his Ironman bracelet that he was still wearing and signed that too! A few things have happened in recent months that have given me a calmness about diabetes. Meeting Cliff is a significant one of them. I think often about the time when diabetes will take its toll on Caleb and he finally breaks down. I do the best I can to prepare him to care for his own diabetes. I try to give him age appropriate autonomy without overburdening him. But I still wonder if it will wear him down emotionally some day. Many people, including those who have grown up with diabetes, have told me it may not happen. Diabetes may just be a part of his life that he accepts and handles. I’ve heard of examples of this, but I have still wondered if it’s really possible. I’m an auditor. I’m skeptical. Meeting Cliff live and in person and hearing his story first hand about how he grew up with diabetes without ever letting it get to him, may have been the peak of a turning point for me. I spent more than two hours with him and I became a believer. I now know it is possible. Cliff, the impact you have had on me, and therein Caleb, is tremendous. You have been so kind and giving and I am eternally grateful. I will never be able to repay you for showing me what is possible for my son. From the deepest, most sincere part of my heart, I thank you. Special thanks to Cliff’s brother, Ryan Scherb of Ryan Scherb photography who took all of the above race photos. Well written Lo. Sounds like you had quite a meeting with a terrific guy! What a great role model. First off…Cliff is awesome and a true inspiration. I admire the studying, logging, and trial and error he must have endured over the years and continues to endure to get his pump settings, boluses, and carbs situated to perform at such a high level as a tri-athlete. I know what we have been going through with Joe’s pump settings, free carbs, and post-hockey basals to try to figure out how to let him LIVE out anything and everything that he dreams of. It is hard and to be frank, I have lost some confidence in myself as a pancreas lately. Thank you Lorraine, for once again, introducing us to another person LIVING with “d”…this is my ultimate goal in raising Joe. To be able to teach him, to show him, to inspire him to do anything that he sets his mind to…with “d” or without…no difference….just a bit more of a challenge. Great guy. Great interview! I enjoyed reading this. Thanks! Fantastic! I love this. I cried. I felt a peace. Thank you for sharing. What a wonderful guy! I think you got across the message of his wonderfulness quite well! 🙂 I LOVE that he doesn’t worry about the big D on race day. It goes to show, hard work pays off. Awesome inspiration! Lorraine! This is such a great post!!! What an inspiration!…What a diabetes hero! Thanks for sharing your experience in meeting Cliff. I have to say, when YOU write, you really do have something special to share!! This is awesome Lorraine…thanks for the great information! What an inspiration and a great interview. Iron man triathlon = 2.4 mile swim + 112 mile bike + 26.2 mile marathon !!! p.s. Cliff, if you read this – you’re awesome. p.p.s. Ryan, if you read this great pics! Love the zoom in on the bicycle with blurred backgroun and Cliff in focus… p.p.p.s. Thanks Lorraine & family for another great post! Reading of how he has inspired you has inspired me. Thank you for sharing this. Inspiring. And a great write-up! Thank you so much for your perspective! Lorraine – Great article about your meeting a great person … with information to share on living with diabetes to the extreme – as a superb athlete. It does take planning and trial/error … but can be done. Life is full of lessons … diabetics just have more lessons than the rest of us. They teach us plenty just by being who they are and doing what they have to do.